On the night of 9th March, 1899, an event took place which shocked the nation, and brought no small amount of shame upon our fair county town. A woman by the name of Mercy Nicholls was viciously attacked and allowed to bleed to death in the gutter whilst a crowd of witnesses watched her die but did nothing to help. One man even saw what was going on and simply went back to bed. This page was added on 23/06/2009. Mercy was the wife of my great great grandfather’s brother and I have looked into this event a bit more. It was an horrendous murder and I’m sure that Samuel and Mercy had a very rocky marriage and I’m also pretty sure that alcohol and a seedy side of night time life were also part of that marriage and its problems. Mercy didn’t have a very good start in life and spent some time in St Albans jail with I think a relative. It seems that this relative may have been a close relative of ‘Rotten’ John Smith that committed the murder. I am still researching and feel that Mercy would have survived (although for how much longer I have no idea with her life style) the stabbings. Her husband Samuel committed suicide by cutting his throat in his parents home a couple of years later. Tragic! Two families at least, possibly three, devastated by a senseless murder. I have seen the newspaper clipping about the story. William Nicholls was my 3rd GGF. I would be interest in talking to Jackie Robinson regarding our family trees. Mercy’s husband Samuel Nicholls is a branch in my family tree. This terrible murder seems to have had a tragic knock on effect as Samuel, Mercy’s estranged husband committed suicide 2 years later by cutting his throat and his father William Nicholls, Mercy’s father in law, my ancestor, committed suicide by drowning two years after that. A direct descendent of this Nicholls family still live in Ware. There is a view that there is nothing new under the Sun in revelations about human behaviour and so it is today. 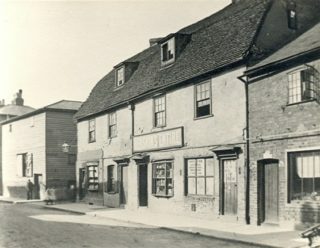 In 1899, the copper could not leave his desk even when told a murder was in progress around the corner in a Hertford street and so it is today . If you are the subject of a robbery in progress, the coppers might call around to take details from you in a couple of days hence.